Smartphones have taken the world by storm. No longer in the hands of the few, thanks to Android they are in the hands of the many. Full blown keyboards have made it easy to surf the net, email, and text with others—everywhere we go. Smartphones keep us entertained, occupied, our heads always looking down at them. Try looking up once in a while though. You might be missing more than just roses. These days there are no rose bushes to stop and smell, especially living in downtown Vancouver. There are newspaper boxes though. Sign poles, garbage cans, other people—traffic. That’s right, roads with cars (or bikes) whipping by. If you don’t stop and look up, one of these days you’re going to get hit. Is that text message really that important that you have to read it right now? 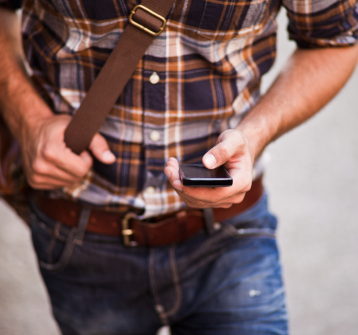 Walking and texting is hazardous enough, just think of all of the people who text and drive? I remember when simply talking on a cell phone while driving was starting to be cause for concern. If you’re holding the phone to your ear, you’re not paying attention—use hands-free. Now apparently studies even show that driving either way makes you as distracted as drunk drivers. Even as I’ve been writing this, a headline popped up in my news feed. “Texting While Driving Kills: Here’s One Grim Example.” The photo says it all—an image of an unfinished, unsent text message. The guy looked up, tried to steer back into his lane, over-corrected, and badness ensued. He died in hospital. Is that how you want to leave this world? Smartphones may be making our lives easier, but they’re also making us miss life around us. In some cases, they cost us our lives. Look up once in a while, stop and send the text messages. If you see roses, you may as well smell them too.